Right on time, James Franco and Seth Rogen. 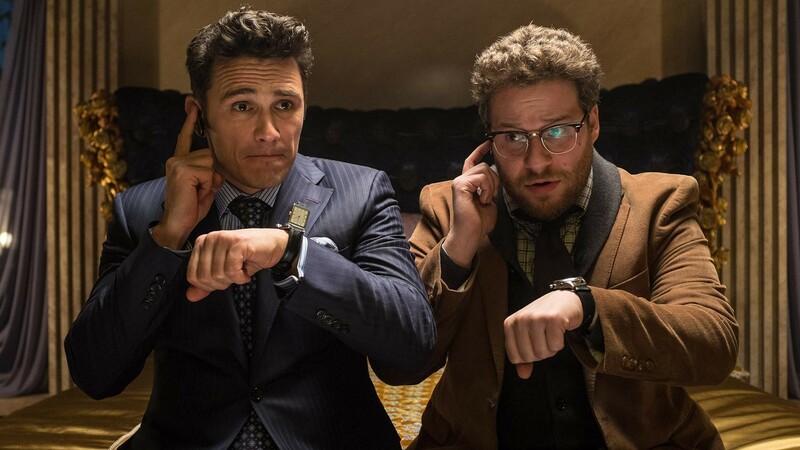 If all you wanted for Christmas was to see The Interview, a farce about North Korea starring Seth Rogen and James Franco, then you're about to get your wish. The movie, which was canceled by Sony last week after hackers threatened to attack any movie theaters that screened it, will air starting on Thursday in select East Bay theaters. The New Parkway in Oakland is one movie house that will air the beleaguered film starting 11:30 p.m. on Christmas day, and will continue throughout the week. Schedule here. The Elmwood theater in Berkeley will also show the film on December 25 at 4:45, 7:15, and 9:30 p.m.
Rogen was understandably pleased when he heard the news, and tweeted that "Freedom has prevailed!" While we may be "peanut butter and jealous" (as Franco says), we think there are about a dozen more interesting films screening on Christmas day. Still, it's pretty cool that hundreds of indie theaters (the Times reports that Sony is aiming to screen the movie in 200–300 theaters) have stepped up to flip censorship (and North Korea) the bird. After all, your unalienable right to watch a screwball comedy in order to avoid your family this holiday is one that's protected by several constitutional amendments, we're pretty sure. The real question is: Is The Interview any good? If you go see it, let us know.